COMPLEX SAYS: Spanish soccer's most violent and ferocious derby. 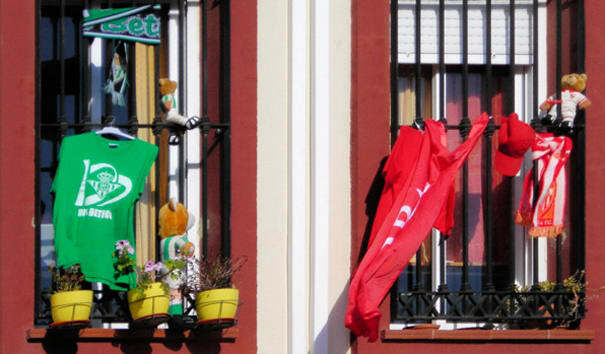 The two sides have been locking horns since 1915, a game Sevilla won 4-3. Violence at a clash in 1917, against the backdrop of land-reform disputes, set the tone that has continued for the past 90 years: security guards attacked by a fan with crutches, Betis keeper Toni Pratts being assaulted, and scuffles between coaching staffs have all featured in the recent past. MEMORABLE MATCH: February 28, 2007, Copa del Rey quarter-final second leg. Sevilla manager Juande Ramos was knocked out cold by a bottle thrown from the crowd, forcing the end of this match. Betis was punished by having to play their next three home matches at another ground. NEXT MATCH: Currently in different divisions. It only whets the appetite.